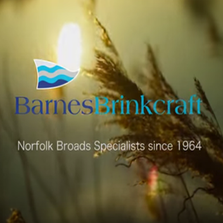 We hope you enjoy using our WebCam to view real-time images of 'The Broads National Park', more commonly known as the Norfolk Broads. We really like the views over the River Bure, and especially Wroxham bridge. Remember, if you are on one of Barnes Brinkcrafts boats there is a pilotage service (someone to drive your boat under Wroxham bridge) at Wroxham, just contact us for details.